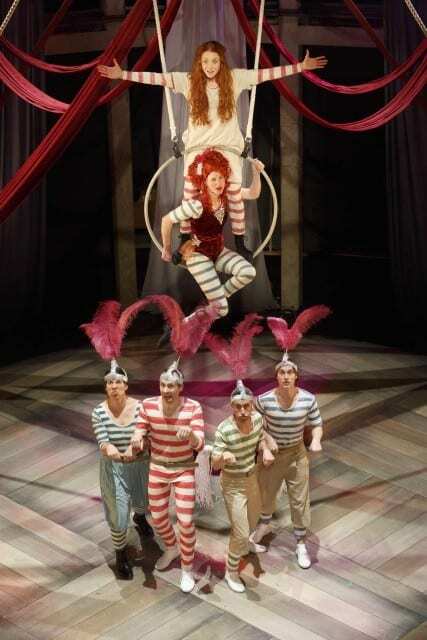 Home » Family Activities » Fabulous Kids book, Hetty Feather, now on stage! We’re Going to See Hetty Feather! 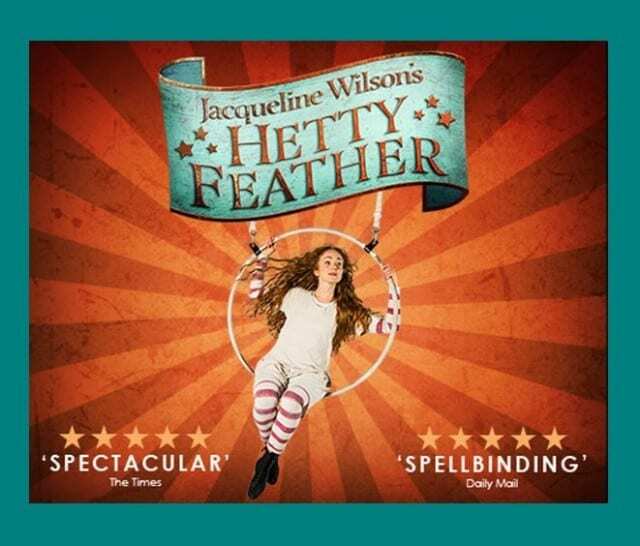 Being big Jacqueline Wilson fans, we jumped at the chance to go and see and review the stage adaptation of Hetty Feather, one of my daughter’s favourite trilogies by one of her favourite authors. 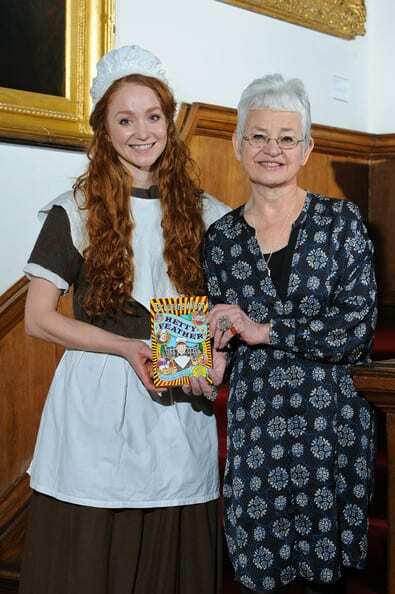 In the Autumn of 2014, Random House published Jacqueline Wilson’s 100th book, Opal Plumstead. My daughter received, and thoroughly enjoyed, Opal Plumstead as her Christmas book ( we always do a book as a present) and we were then excited to be able to review Butterfly Club , published in February 2015. My daughter was so enthralled reading the Hetty Feather series that she dressed as Hetty for her school’s World Book Day dress up character. This is what she thought Hetty might have worn and how she thinks her hair was based on a silhouette image in the book. 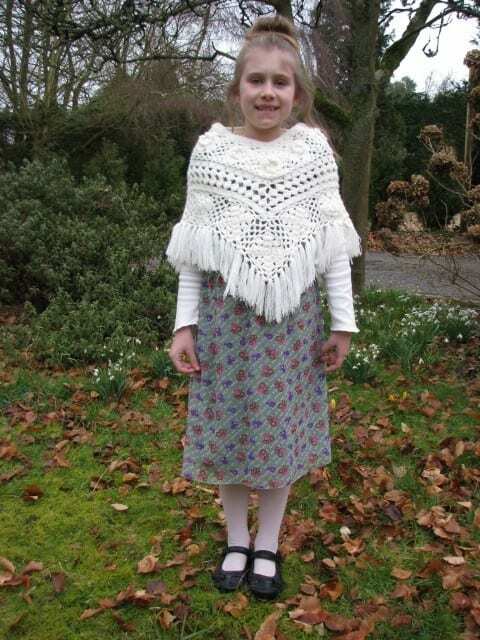 Jacqueline Wilson’s trilogy about a Victorian Foundling called Hetty Feather has proved hugely popular with her fans, my girl included. How did she come up with the idea? She was doing some charity work for the Coram Society, who are attached to the Foundling Museum in London. They suggested that she write a book about a Victorian Foundling and Jacqueline says that almost immediately the story of Hetty Feather sprang to her mind. A foundling is the name given to a child in the Victorian era who were in the care of the Foundling Hospital. Hetty Feather has recently been adapted for the stage and has already received huge critical acclaim. Hetty Feather opened at the Rose Theatre, Kingston Upon Thames in April 2014 and toured the UK before a successful West End run at the Vaudeville Theatre where it was seen by over 22,000 people in just four weeks. Lucky for us, it is re-running starting this summer and we are heading to watch it next week! It is showing in theatres nationwide, so I’m convinced you’ll be able to find one close to you. Perhaps you too can go on a mother-daughter date or family outing this summer holiday and enjoy this fabulous story together? There is still time to book tickets…there are shows from June 2015 til March 2016! We are really excited about going to experience Hetty Feather in the flesh. Be sure and check back here for our full review..now hurry and go get your tickets!